1945 came late this year. It was four years earlier, in January 1941, that New Directions introduced The Poet of the Month editions, billed as “A Series of Poetry Pamphlets,” with William Carlos Williams’s The Broken Span. The idea was to publish twelve slender volumes a year, thirty-two pages each, saddle-stapled, “as beautifully printed,” the original brochure promised, “in fact, more beautifully printed, than most expensive books.” With a mix of American and European poets, new and old, in its first three years the Poet of the Month pamphlets featured work by John Donne, Rainer Maria Rilke, and Raphael Alberti. Then, after three and a half dozen issues, this experiment in subscription publishing came to an abrupt end. Or perhaps it would be more appropriate to say that it went on extended hiatus. For the Poetry Pamphlets series, which recently completed its first year-long run of twelve titles, clearly continues the earlier program—conspicuously, one might say, were it not for the fact that for most readers today The Poet of the Month might as well not have existed. Printed before the invention of acid-free paper, the pages of the original series have yellowed, their staple-binding rusted. By comparison, the Poetry Pamphlets are sturdy and sleek, with two-tone covers printed on heavy Speckletone paper and a heft that, with most of these volumes exceeding the 48-page limit set by UNESCO, stretches the definition of “pamphlet.” For the exteriors, New Directions has enlisted The Office of Paul Sahre, one of the best design studios around. These are books. In a sense, New Directions is arriving late to a party that’s already well underway. A number of strong chapbook series featuring established authors and out-of-print work have been running for years now—Sarabande’s for over a decade, Hollyridge Press’s for almost as long; Rain Taxi has been at it since the late 1990s—not to mention several venues that present new and emerging writers in chapbook editions. And some of our best smaller literary presses, including Wave, Ugly Duckling, and Open Letter, now offer subscription services, a potentially powerful, if retro, response to the pressure digital media have placed on paper publishing. The Poetry Pamphlets combine the two, at least for those who choose the monthly subscription through New Directions’ website. 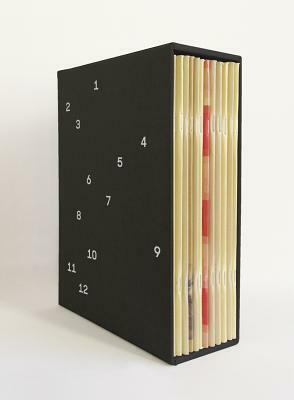 While they can be purchased in different retail configurations—individually, as discounted “bundles” of four, or as an annual set with slipcase—the Pamphlets are clearly conceived as a subscription series. There’s something delightfully paradoxical in this entire enterprise. As e-reading technology becomes increasingly refined, and as those ideologically opposed to its mounting advantages seem more and more reactionary in their luddism, literary publishing has to offer a product that no gadget can deliver: not only a text for reading, but a beautiful object for having. Who would have thought that circumstances lamented of late as the “death of the book” would also foster its rebirth, and in a way that recovers some of the most delightful printing and distribution practices of the past? 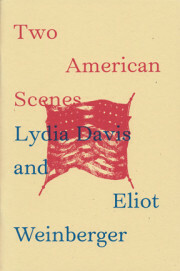 The greatest part of the poetry will be American, but we hope each year to include one important English poet not previously published here, something from the classics in translation, and a pamphlet of translations from a modern foreign-language poet. Of the American poets, a few each year will be well-known, established poets, and a few will be young discoveries. So too in the type of material variety will be stressed; while the lyric is bound to predominate, we will schedule for each year at least one verse play and one narrative poem. And finally, as a sort of special savoury in this twelve-course banquet of poetry, we will celebrate each year some great poet of the past with a selection from his work, served up afresh in appealing typographical form. I am quoting Laughlin at length, from the brochure that announced The Poet of the Month in 1941, for two reasons. First, because the new series hews impressively close to Laughlin’s original vision, though the editors have updated and improved it in much the same way as the production team has updated and improved the materials. Second, because it’s refreshing. Unlike most of its competitors in commercial publishing, New Directions remains a small operation with a clear editorial point-of-view. In an industry that has never not been threatened by public inattention—by the time New Directions made its first profit, the original Poet of the Month Series had come and gone—Laughlin does us the rare courtesy of telling us what we can expect when we check the mail. Whether the Poetry Pamphlets are a rebirth or a resurrection, they make for an ambitious and often exhilarating execution of Laughlin’s mandate. The poetry, sort of, is still mostly American, sort of. 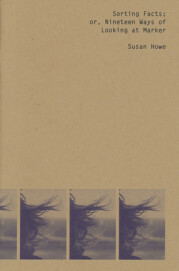 The series’ inaugural volume, Sorting Facts; or, Nineteen Ways of Looking at Marker, is definitely prose, yet Susan Howe’s sense of language is so irrepressibly lyrical that even a book-length essay on documentary film flows effortlessly into a meditation on Andrei Tarkovsky, memory, and the death of her second husband, the artist David von Schlegell. “Surely nonfiction filmmakers sometimes work intuitively by factual telepathy,” Howe suggests. “I call poetry factual telepathy.” Originally written for a 1996 anthology of essays on film, Sorting Facts may also be Howe’s most thorough and poignant ars poetica. We should be grateful to New Directions for giving it new life. The waters waltz their way through the canyon and our boats spin wildly in whirlpools past the projecting rocks. In the evening, camped at the mouth of a small creek, a good supper of trout as we discuss whether to name this place Whirlpool Canyon or Craggy Canyon. We cannot decide. Spish the song into sight. Sonogram a vertebration of short tripping trills. Bobolinks. Wide-ranging pitches. Tallgrass, highnote, swish-hitters. Wishful singing. Pleurally plural. With the syrinx located at or near the junction of the trachea and lungs some birds can produce two distinct notes simultaneously. Sturnella neglecta (“little starling”). Tin whistle dipped in liquid. Wistful. Fluty flying who-who are you? Meadowlark nebulization. Flaring nares. Between maxilla and eye a goldenrod-tipped mist. Pluvially orchestral. Sparrowful. Laughlin had promised that “in the type of material variety will be stressed,” a promise that would have been fulfilled even without “one narrative poem,” yet the editors have furnished us with one anyway and, in so doing, have also managed a celebration of “some great poet of the past”: H.D. (Hilda Doolittle), with her 1957 sequence Vale Ave (#7). 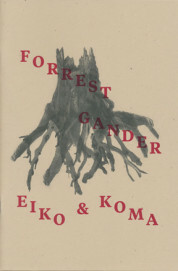 An archival piece published in its entirely but once before (in a small edition in 1992, over thirty years after the poet’s death), the book is a revelation. The title, which transforms the Latin for “farewell” and “hail” into a more concrete and locational form of address, perfectly captures the text’s clever erasure of the simple distinctions we use to define ourselves, whether according to gender (male/female), time (“anger had drawn me back and out of time, / but now, I see in-time and passionately”), or narrative situation (“I mix my metaphors and history, my friend”). Androgyny was a lifelong fascination of Doolittle’s. In Vale Ave, it is both central and revealed as curiously incidental. In following two lovers as they reencounter each other across space, time, and myth, we come to see their mutual attraction as the only stable feature of their existence. This is a wonderful opportunity to revisit a poet whose relevance and capacity for surprise have proven exceptionally durable. 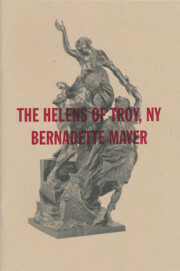 The Poetry Pamphlets also deliver on Laughlin’s plan to publish “something in the classics in translation, and a pamphlet of translations from a modern foreign language poet,” though they go considerably further: four of the first twelve volumes are translations, two each from Spanish and Arabic. None is from “the classics” per se, but that will be remedied in the next bundle with new translations of the Tang poet Li Shangyin. 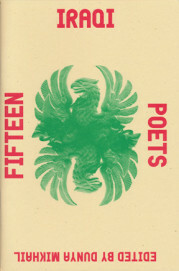 There is a certain continuity in this emphasis on foreign poets—Pamphlets #14 through #16 will all be in translation, and The Albertine Figures (#13) is by Anne Carson, who likes to remind us that she’s Canadian—in that New Directions has rightfully prided itself on introducing other Modernisms into English for over half a century, and they do it extremely well. Crossing Iraq’s northwest border, Fullblood Arabian (#10), by the Syrian poet Osama Alomar and translated with C.J. Collins, consists of brief, mostly fabular prose texts. Lydia Davis’s superb, unsurprisingly compact Preface orients Alomar’s work in the global tradition of the “very short story,” flash fiction, prose poem, or whatever it is we’re calling it these days. Alomar tends toward the parable, and some of his most interesting turns of phrase arise when, jolted back into waking life, he still speaks of it allegorically, “drunk with exhaustion and sleepiness, our laughter still ringing against the pavement of reality.” But these texts work best in small doses. The stiffly formal prose—a deliberate stylistic choice on the part of the poet and translator, and not always a felicitous one—casts a barrage of adverbial phrases. Even these characters’ actions are accented. They seem incapable of doing much of anything unless it’s “with enthusiasm,” “with delight,” “with joy,” or “with total sincerity,” which is as exhausting in imaginary people as it is in real ones. Are the editors intentionally publishing translations in regional pairs? 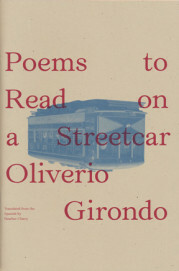 If the poems from Iraq and Syria suggest the possibility, Alejandra Pizarnik’s A Musical Hell (#6) and Oliverio Girondo’s Poems to Be Read on a Streetcar (#11) would seem to affirm it. Consistently satisfying, both in the high quality of their translations and in the arrangement of the material, these books by Argentine Modernists put us in familiar publishing territory, New Directions having long been a home for Julio Cortázar and Jorge Luis Borges, among others. They also leave us crossing our fingers that this is a prelude of more to come. Girondo and Pizarnik share an avant-gardist predilection toward dramatic self-presentation and outlandish metaphors, but they use them to opposite ends. Pizarnik, who took her own life in 1972 at the age of thirty-six, is a hard melancholic whose luxuriously lyrical prose poems can be painful, a credit to Yvette Siegert’s vigorous rendering of the Spanish. “I’m familiar with the full range of fear,” Pizarnik tells us in “Primitive Eyes.” “I know what it’s like to start singing and to set off slowly through the narrow mountain pass that leads back to the foreigner in me, to my own expatriate.” A poet who draws virtuosic variety from limited materials—“Music falls into music the way my voice falls into my voices”—Pizarnik is one of the highlights of the Poetry Pamphlets’ first year. May your wife cheat on you constantly, even with mailboxes; when she lies down beside you, may she turn into a leech; and—after birthing a raven—may she bear you a wrench. May your family entertain itself by so disfiguring your skeleton that when mirrors see you they kill themselves in disgust; may your only amusement be installing yourself in the waiting rooms of dentists dressed as a crocodile; and may you fall so madly in love with a safe-deposit box that you cannot, even for an instant, resist licking its latch. The contrast is shocking. Whereas Girondo can be elegant as well as intriguing, incisive as well as inquisitive, Ferlinghetti’s lines, equally reliant on anaphora, sound stoned. His preferred form has always been the rant, and to say that it suits his Beat sensibility would diminish the central role he played in inventing that sensibility in the first place. But a good rant features sharp wordplay and, above all, flow. It performs persuasion rhythmically—thus its ancient kinship with the hymn and the litany—so that the reader often has no time to get caught on the puns and rhymes, the best of which are on a delayed timer. Not so here. When the poet mentions the Wright Brothers at the beginning of “History of the Airplane,” you could see a reference to the “wrong brothers” coming a mile away, though you only have to wait one line to get there. Ferlinghetti’s is the one entry in the first year of the Poetry Pamphlets that I could have happily done without; Blasts Cries Laughter seems to come from, and to be stuck in, a different time. Nathaniel Tarn’s The Beautiful Contradictions (#5), a book-length sequence first published in 1969, is also, by his own admission, from another time, “a poem of the very late Sixties—written from an old world shore, in fact, from the Black Mountains of Wales.” Though a younger poem than Doolittle’s, written by a much younger person than she was when she wrote Vale Ave, The Beautiful Contradictions seems much less contemporary. 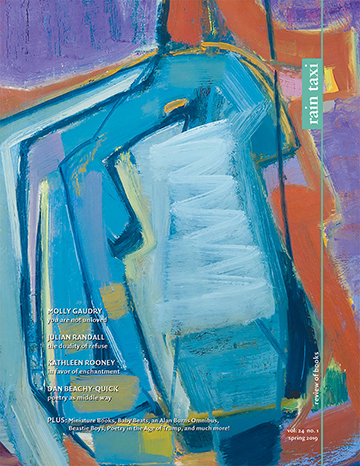 It displays the strong influences of Ezra Pound and Charles Olson, whose deep Americanism guided Tarn as he was beginning his career in the New World, and like the poems of Pound and Olson The Beautiful Contradictions is dense with moments of intellectual insight and lyric dazzle that are but rarely coincident. The instances when they do pull simultaneously into the same station—“because it is a myth you know that desire dissolves all obstacles / while feeding and singing keep our figures redundant”—are padded with so much meandering verbiage that you start to wonder whether the poet is deliberately trying to wear you down, testing to see if you are worthy of initiation into mysteries constantly deferred until the next page. Again, Pound and Olson come to mind. You really have to be in the mood. Which brings us to the only real disappointment of the Poetry Pamphlets as a whole. 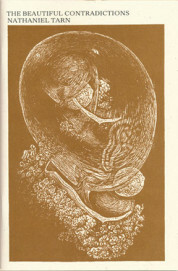 In its first year alone, the Poet of the Month included second books by Malcolm Cowley, Delmore Schwartz, and Josephine Miles, the first American edition from the English poet F.T. Prince, and the first book by Harry Brown, who had a successful run as a poet in the 1940s before becoming an Oscar-winning screenwriter. A chapbook series is a risky operation, editorially as well as financially, and Laughlin had intended to spend a large part of that risk on “young discoveries.” Today’s equivalent might be “poets without an entry on Wikipedia,” and it would have been nice to see one of those in this batch. New Directions is not obliged to follow the directions of its late founder, and much of their long-term success can be attributed to successive editors striking out on new directions of their own. But the Poetry Pamphlets have a bright future. Let’s hope it will also be an unpredictable one. This entry was posted in Uncategorized and tagged Summer 2014 on August 18, 2014 by Kelly.